For over 40 years Crown Awards has been America's largest awards manufacturer and a big believer in team work. 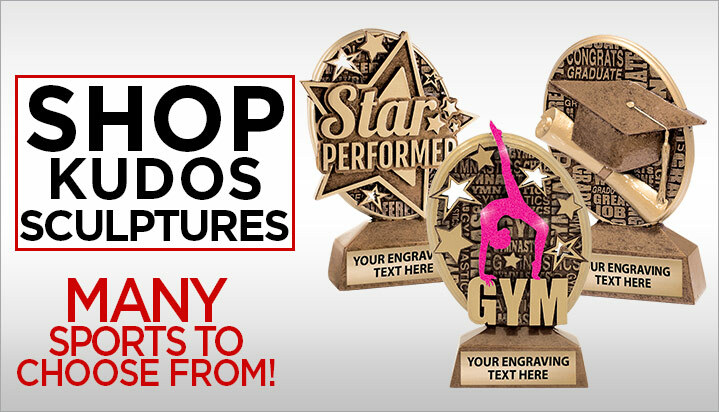 Sculpture Trophies are the quintessential award to recognize all areas of personal achievement and are available in a number of different styles from our Sculpture Insert Trophies to Sculpture Achievement Trophies to Kudos Sculpture Trophies, making it easy to distinguish every member of the team. Crown offers SAME DAY SHIPPING (on web orders placed by 5pm EST) on in-stock sculptures and FREE SHIPPING on all trophy orders over $100! Sports Baseball Basketball Bowling Boxing Cheerleading Chess Chili Cooking Cricket Corporate Dance Eagle Fantasy Football Fishing Football Funny Golf Gymnastics Hockey Karate Lacrosse Lamp Of Learning Mascot Music Music Pinewood Derby Racing Reading Recognition Awards Religion Running Scholastic Science/STEM Soccer Softball Swimming T-Ball Tennis Torch Volleyball Wrestling 4-H SALE See More Sports! Many Sports To Choose From! Many Baseball Sculptures To Choose From! Perfect For Any Charity Organization! Great Selection Of Religious Sculptures! Great Awards For All Chefs! Choose From 3 Golf Sculptures! 4 Styles To Choose From! Choose Your Insert, Add Your Text! Great Halloween Awards To Choose From! 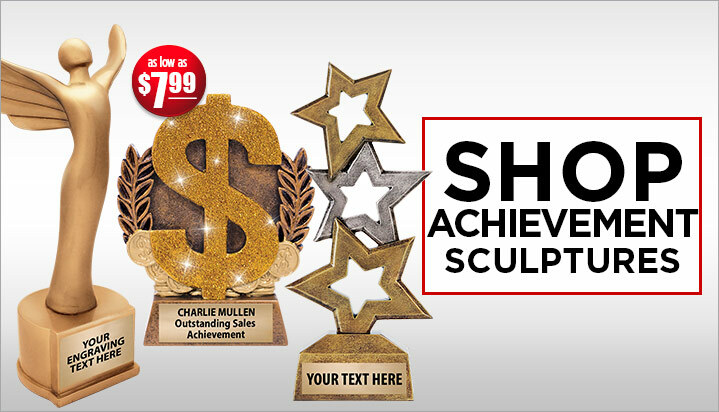 Our classic, inexpensive sculpture trophies are a great way to show every member of the team they count. 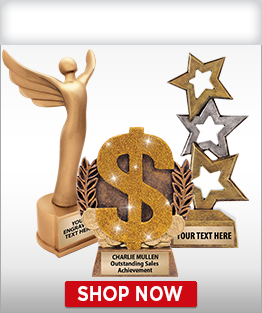 Thanks to customer loyalty, Crown Awards continues to be America's largest distributor of trophies. 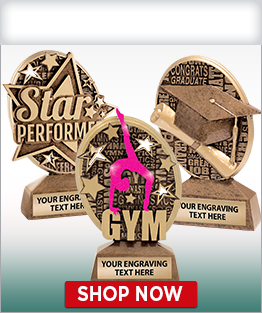 To show our appreciation, we offer FREE engraving of up to 40 letters. Acknowledge every team member's dedication with a personal saying of your choice. Ground shipping is also FREE on trophy orders over $100. Everyone's a winner with sculpture trophies! 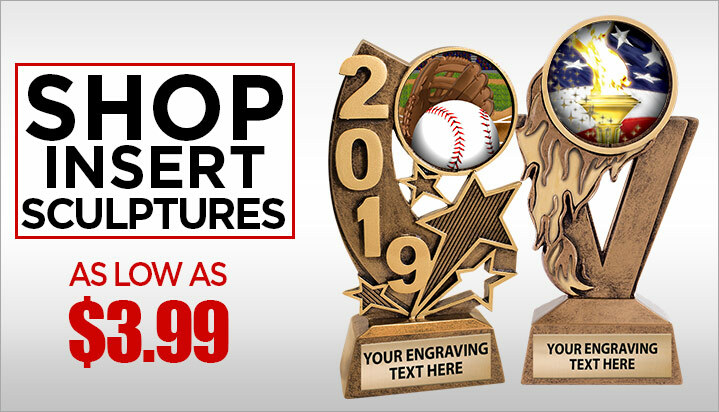 With the largest selection and lowest prices, Crown Awards has that perfect sculpture sports trophy you are looking for. From swimming to skiing, martial arts to table tennis, you are going to love our unbeatable selection of participation sculpture trophies. 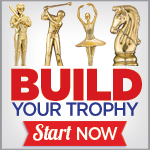 As America's largest awards manufacturer and with over 40 years of experience behind us, Crown's sculpture trophy will fit your gift-giving needs no matter how large or small your budget. 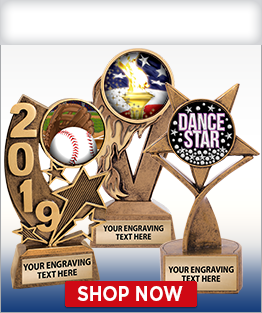 We provide our customers with superior customer service and the highest quality products at the lowest prices available, making us your sculpture trophies and awards manufacturer of choice. Our staff is here to answer any questions you may have regarding your trophy order. Call us today at 1-800-227-1557!